Godrej Air Hoodi is a one of a kind project coming up in the eastern sector of Bangalore. Spread over a vast expanse of lush green landscape and mind boggling architecture of iconic towers, Godrej Air is sure to move each and every interested buyer. Godrej Air at Hoodi is an iconic upcoming residential project that will be spread over a huge area of 5.8 acres, with 70% of open spaces and designed by top – notch designers from all over the world to make it a practical residence which is a treat to the eyes too. A couple of towers with G + 16-floor housing 400+ units will be up for grabs once it is launched in August 2017. Godrej Air Hoodi floor plans that will be available for the masses are 1BHK, 2BHK (in C and L variant), 2.5 BHK, 3BHK (in C and L variants). The 1BHK units will have a carpet area of 502 Sqft -509 Sqft. While 2BHK units will have 2 sub variants – 2BHK C type and 2BHK L Type. The C type 2BHK units has a carpet area ranging between 788 – 805 Sqft. While the L type 2BHK units will have a carpet area ranging between 851 – 889 Sqft. Also, 2.5 BHK units are available having a carpet area of 1017 Sqft. The larger of the units is the 3BHK units. 3 BHK units are also available in 2 variants – 3BHK C-type and 3BHK L-type. The C type has a carpet area of 1166-1181 Sqft. while an L type has a carpet area of 1307-1318 Sqft. Godrej air Hoodi prices will start from 40L. Godrej Air Hoodi location is at the helm of this megacity. The closest railway station to Godrej Air Hoodi circle is the Whitefield train station which caters adequately to the connectivity issue of the residents of Godrej Air. The distance between Godrej Air and the Bangalore International Airport is about 40 Kms. Once a small village, Whitefield has now developed into a major IT hub of Bangalore. Today, Hoodi which is a part of Whitefield is more than just an extension to the city with leading IT giants such as Wipro, Dell and IBM finding their way to the first IT Park in India, the International Tech Park, Bangalore. Whitefield is also known for Sathya Baba's Ashram popularly known as Brindavan, located in the town of Whitefield. Business growth has significantly made way for real estate in Whitefield. The demand for residential spaces both for renting and buying is increasing in Hoodi due to its proximity to industries and IT hubs. Several builders are constructing world-class housing options which has led to an escalation of property prices in the area. 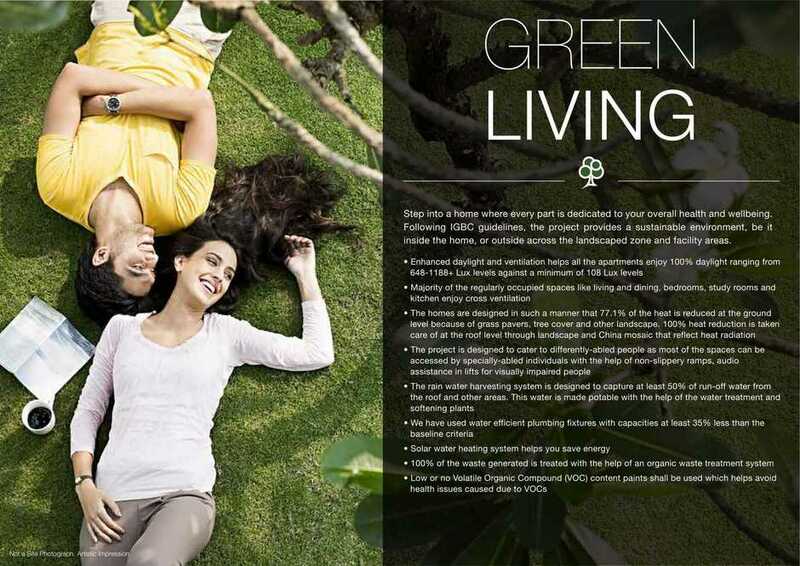 The list of amenities at Godrej is sure to compliment the project as a whole. With top of the line facilities to go bonkers Godrej Air Hoodi Circle is surely going to attract the attention of many. A small list of Godrej Air Hoodi amenities is- Gymnasium, swimming pool, children’s play area, multipurpose room, rain water harvesting, jogging track, power backup, landscaped gardens, indoor games, car parking, lift available, vaastu compliant and a lot more. Godrej Builders is among the most trusted construction companies in India. It was established in the year 1990 and is today spread across 10 cities in the country. Godrej Developers is known for its unique and creative designs that when combined with transparency and highest quality crafts a masterpiece. Their highly customer oriented approach and professionalism result in timely delivery of projects. The vision of Godrej Builders is to get itself among the top 3 real estate developers of India. It has ranked among the top 10 residential developers in India for the past 4 consecutive years. It has also won the topmost place in 'India's Best Companies To Work For, 2009' survey, conducted by 'The Economic Times' and 'Great Place To Work Institute' and was awarded 'Corporate Governance of the Year, 2008' by Accommodation Times.